Just a wee run... around the whole of the Irish coast! To run 2,000 miles around the wild coastal edges of Ireland, bivvy-bag sleeping at night, with no support team, carrying just the bare essentials. To raise £10,000 in aid of Ecologia Youth Trust 's work with vulnerable youngsters facing their own tough challenges in Kenya, Uganda, Russia, and Scotland. On 5th July, 2017, Simon completed a 5,000+ mile run around the coast of Britain and raised nearly £26,000 in aid of Ecologia Youth Trust’s work. He became inspired to take to the road after reading Just a Little Run Around the World, Rosie Swale Pope's account of her 5-year-long circumnavigation of the globe, during which she also raised funds for one of Ecologia’s projects in Russia. Ecologia Youth Trust's former volunteers coordinator, Rachel Winter, supported Simon throughout his UK run, connecting him with people who were offering places to stay and getting word out about what he was doing. This time Rachel will also join the run, which will be the first long-distance run she has attempted. Please use this page to make your donation and leave messages of support. Even small donations can make a big difference in the countries in which Ecologia works, and every penny fuels Simon and Rachel on to complete their challenge! You can also support by sharing the link to this page with your friends and family. Offers of beds/sofas/floors/barns to sleep on/in along the way are always welcome, as are cyclists/runners/walkers wishing to join the pair for a few hours/days or more! 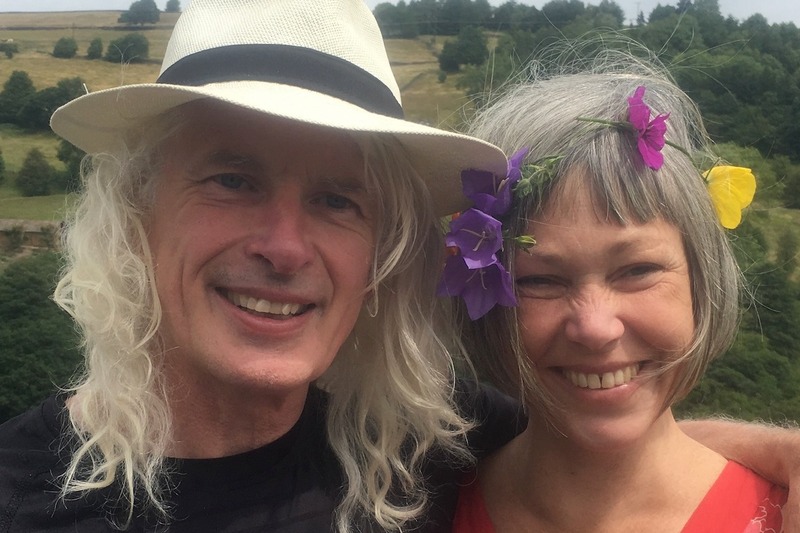 Simon and Rachel left from Ecologia's base in Findhorn, Scotland, on Aug 1st, 2018. After hitching and ferry/bus-riding to Ireland, they started their run from Dublin’s O’Connell Bridge on Aug 7th. They expect the run to take about 4-5 months, and are hoping to get home in time for Christmas cheer! Please also follow Simon and Rachel on Facebook and Twitter. Your encouragement really helps them to keep going, especially on wet and windy days when the going is tough! 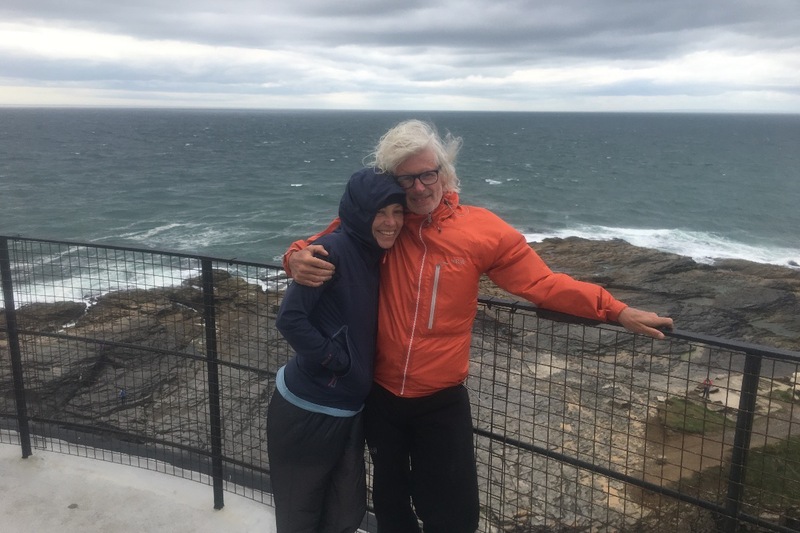 On Tuesday 2 April, our intrepid duo, Simon Clark and Rachel Winter, will return to Findhorn after completing their run around the windswept coastline run of Ireland - and we can't wait to hear more about what it was really like! Before then we want to help them achieve their target: to raise £10,000 in vital funds for our work with orphaned and marginalised children and young people in Kenya, Russia, Uganda, and Scotland. We are deeply grateful for the support you have already given. We know that you have been following Simon and Rachel's journey and are invested in seeing them succeed. Please help us to spread the word about this achievement by taking a few seconds to share this email with your friends and family using the links below. And please consider making an additional contribution. Each penny goes a long way in many of the countries in which we work. We warmly invite you to join the celebrations at The Park, Findhorn on April 2nd at 5pm. If you cannot be with us, we will be broadcasting on Facebook Live so that you can watch it in real time or later at your leisure. 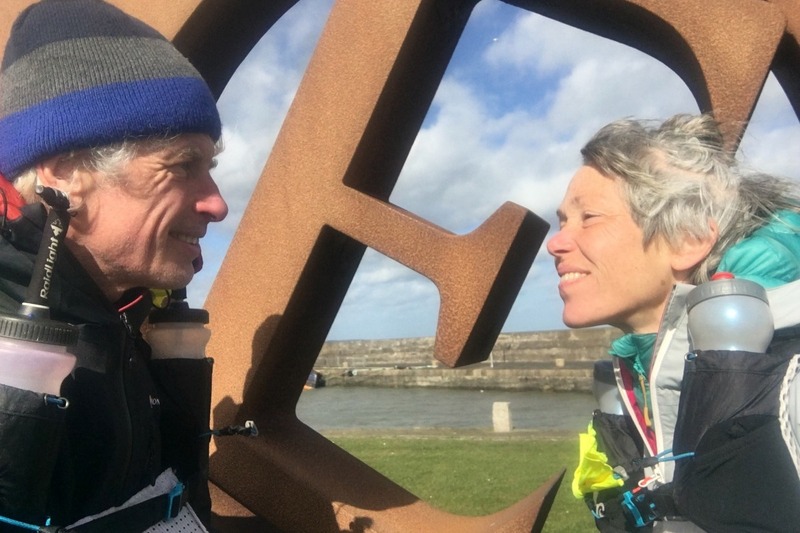 We hope to link up as many of you around the world as possible with Simon and Rachel as they run those last few miles and arrive back to some suitably Scottish festivities. Please join us! Thank you for following '2 Hearts, 4 Feet Run Around Ireland'. Simon, Rachel, the Ecologia team, our partners, and the children and young people that inspire us all.